Any Grevit Component accepts parameters as optional input. You can send as many parameters as you want. The parameter component requires two inputs: Name (Text): name of the parameter to set Value (Any): value of the parameter like a number, text, boolean, etc. There are situations where Families have two parameters with the same name. In this case you can use the parameter ID as parameter name. 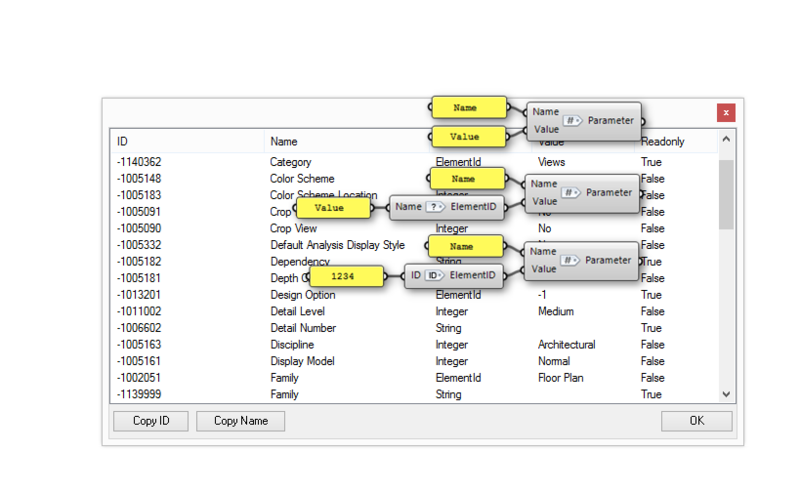 The “parameter names” tool in Revit helps you to identify the parameter IDs. Usually the builtin IDs are negative. Some parameters require ElementIDs as inputs. Therefore you can use the following two components: Search ElementID: searches all elements/types for a specified name and returns its ElementID. ElementID: If you already know the ElementId you can specify it with this component directly. 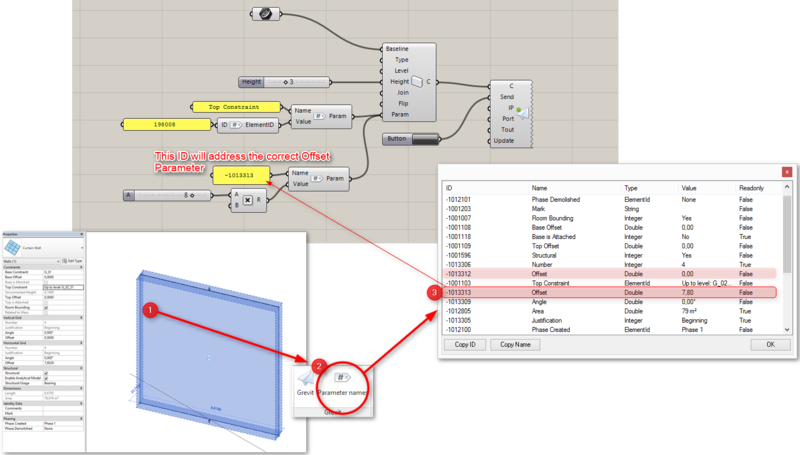 The pictures are explaining how to use Curtain Wall Parameters in Grevit (because the Parameter Names are not unique) and how to set a parameter which requires a Revit element.